Smoke-free housing is a growing national trend, and we congratulate the board and management company of Zeckendorf Towers on this landmark move. We hope that their example will inspire other buildings throughout our city to go smoke-free and improve the health of New Yorkers. 97.5 percent of Manhattan homes are in a multi-unit building (3+ units), and 70 percent of all New York City homes are in multi-unit housing, the highest concentration in the country. Up to 65 percent of the air in such buildings is shared between units, and studies confirm that secondhand smoke travels between apartments and floors. According to the U.S. Surgeon General, there is no safe level of secondhand smoke exposure. We believe all New Yorkers have a right to breathe clean, smoke-free air where they live, work and play. 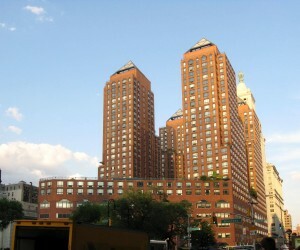 This entry was posted in Public Health Issues, Smoke-Free Housing, Uncategorized and tagged Manhattan Smoke-Free Partnership, smoke-free housing, Union Square, Zeckendorf Towers by nycsmokefree. Bookmark the permalink.